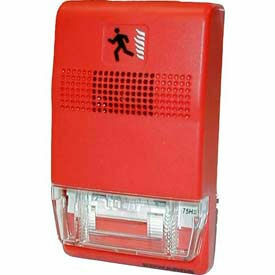 Flashing Combination Audio/Visual Signals are made of 100% polycarbonate housing to provide long lasting durability. Construction is rated type 3R for rain-tight applications. Twist and lock system accesses the lamp easily and without tools. Fresnel lensing provides superior durability in all directions. The integrated buzzer provides 85dB output and is synchronized to buzz at the same rate as the visual signal at 75 times per minute. Lamp styles are Halogen, Incandescent and Strobe. Available colors are Amber, Blue, Green, Red, Yellow and White. UL and cUL listed, and CSA certified. 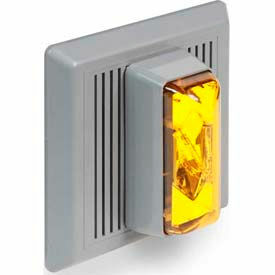 Horn/Strobes Are Used For Use Where A Distinctive Visual Or Audible Signal Is Required And For General Alarm Applictions. 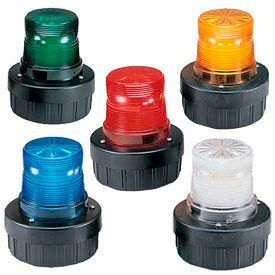 These Horn/Strobes are solidly constructed for long lasting durability and dependability. Bright, low current draw, high decibel output. Terminals for easy wiring. Gray flame resistant, thermoplastic housing. 1000 hour strobe tube. Strobe and horn may be operated independently. Available in Indoor Only and Indoor/Oudoor types, Clear, Red, Blue and Amber lens colors and 120V AC and 24V AC/DC voltages. These signals are the smallest, most compact audible and visible emergency signaling devices in the world. About the size of a deck of playing cards, these devices are designed to blend with any building environment. The horn/strobes do not require bulky specular reflectors. Instead, an exclusive mask-and-cavity design, channels and conditions light to produce a highly controllable distribution pattern. Intensive development employing this new technology have given rise to a new benchmark in strobe performance--Full Light technology. Xenon Strobes With Horn Are Used For Signaling Equipment Malfunctions, Security Intrusions And Installations With High Ambient Light or Noise Levels. 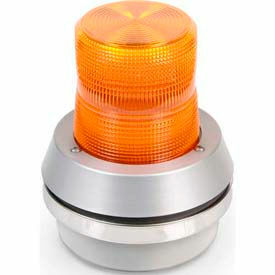 Xenon Strobes are solidly constructed for long lasting durability and dependability. 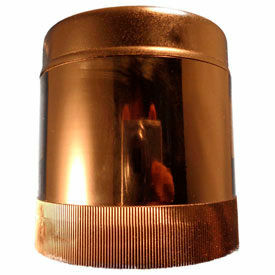 Designed for light duty applications applications where short term intermittent visual signaling is required. Gasketed weatherproof design assures installation acceptability in most industrial and commercial locations. Immune to shock and vibration. Cast base may be used as a junction box. Optically designed fresnel lens. Series of complementing fresnels cause the dome to "fill" with light each time the strobe flashes, increasing the unit's "on-time" and thus improving viewer perception. Trigger and timing circuits are included as integral parts of the power supply. Replacement costs are reduced as it is necessary to replace only the strobe tube. 120V AC. Available with Blue, Amber, Red, Green or Clear lens color. Stack Mounting Audio Modules Offer Audible Machine Status In All Directions. Stack Mounting Audio Modules are solidly built with polycarbonate housing for long lasting durability. Audio units feature up to 100 decibels of output to ensure warning is heard over long distances. Audio modules broadcast continuous or pulsing alarms with frequency ranging from 600-3000 Hz to meet specific workplace requirements. Specifications vary per model.